Jack Granath works in a library in Kansas and writes poetry. 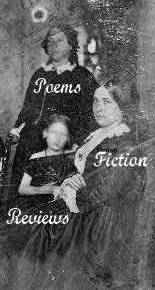 Below is a list of poems and other writings that wound up in journals and magazines. Many of them, like their author, are changing a little as they age, but links to the versions of first publication are provided here and there. With luck their later selves will get a taste of daylight too sometime, before the general shoveling under.